Welcome to this Jamieson and Fyler corner of the internet. The fuel and food convenience store located at the corner of Jamieson and Fyler is proposing an expanded foot print into residential space, razing the area, and building a expanded store that includes liquor sales. The current goal of this website is to serve as a resource for anyone seeking information regarding this expansion, its potential impact to the community, and to broadcast meetings where the proposal will be discussed and/or decided. If you would like to subscribe to my newsletters for alerts and updates, please complete the form below. This website is currently being maintained by Seth Davis. 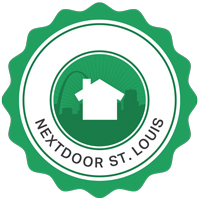 I (Seth) am a Lindenwood Park resident and property owner since 2006. I've also recently volunteered to serve as LPNA block captain for 68XX Fyler, along with Kati Guerra. The conditional use permit for commercial zoning was never meant to apply to the scale of the 2000 customers per day that this station is intended to serve. Would their corporate officers choose to live next to this station? Why not locate it on a high-traffic street, such as Hampton?